﻿ Health Psychology Associates wants you to get to know our staff a bit more in both Long Beach and Torrance, California. -Dr. Dushenko is the founder of Health Psycholgy Associates (HPA). -His extensive background in clinical and neuropsychology include both teaching and research, before deciding to devote himself primarily to clinical practice. -Dr. Dushenko's overall approach has evolved into the mission that is HPA. This mission has resulted in an integrative and multidisciplinary approach to mental health and personal growth. -His current clinical practice primarily involves adolescents and adults (individually, as couples and families, and in groups). He utilizes a broad range of theoretical models and tools and employs traditional and integrative techniques to facilitate healing and growth. His primary concern is that of treating the person as a whole, in a manner of mutual respect and caring. To view Dr. Dushenko’s Curriculum Vitae, BIOGRAPHY. 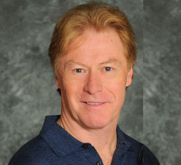 Dr. James Cassidy is a California Licensed Clinical Psychologist who has extensive experience working with individuals, couples, and families, experiencing challenges with depression, anxiety, addictive disorders as well as relationship, work, and living issues. Dr. Cassidy graduated from University of California, Los Angeles, and received his phD from International University. Dr. Cassidy also has extensive experience working private practice and is on staff at St. Mary Medical Center. Ms. Laskodi is the Practice Manager and will assist with determining insurance benefits and answer any questions a client may have regarding the overall practice. Dr. Huma Athar is a licensed Clinical Psychologist who has extensive experience working with children, adolescents and families experiencing depression, anxiety, ADHD, oppositional behaviors, loss, and trauma. She also treats adults and couples utilizing various modalities such as cognitive behavioral and/or psychodynamic approaches. Dr. Athar’s ability to also utilize a humanistic approach has allowed her to work closely with the geriatric population as well. Dr. Athar received her doctoral degree at the California School of Professional Psychology-Los Angeles, her master’s degree at Loyola Marymount University, and her undergraduate degree at University of California-Irvine. Dr. Athar has completed internships at the Master’s, Pre-Doctoral and Post Doctoral level throughout LA County. She has worked as a licensed Clinical Psychologist since 2001. Dr. Athar began work at an Orange County contract clinic in 1999 providing therapy for children and adolescents who were removed from home due to abuse, neglect, abandonment, etc and placed in the County shelter. Dr. Athar joined Health Psychology Associates in 2002 and immediately became a part of the medical staff at St. Mary’s Medical Center. She continues to provide inpatient therapy with patients, typically a geriatric population, experiencing symptoms of depression and/or anxiety while undergoing physical/occupational/speech therapy on the Rehabilitation Unit. Dr. Athar began work for the County of Orange in 2002 and has worked with children, adolescents and/or families first at a probation based program and more recently at an outpatient clinic. Kathleen (Kitty) Allen, LVN, BCIAC, has had a full time practice as a Certified Biofeedback Therapist for 30 years. This follows a career in nursing in various medical disciplines and in psychology. She was trained in Biofeedback at the Biofeedback Research Institute of Los Angeles and later returned to the Institute for several years as an Instructor. Kathleen has developed Biofeedback departments in several psychiatric hospitals, has provided inservice training for hospital clinicians, and has given multiple talks, demonstrations, and lectures on Biofeedback. She has privileges at St. Mary Hospital where she has worked with inpatients on the Rehabilitation Unitand on the Medical and Surgical Units. She completed 3 years on the Board of Directors of the Biofeedback Society of California. Kathleen specializes in anxiety/panic, chronic pain management, and in all medical stress-related disorders. She has much experience with diabetes management and with more comfortable ways of smoking cessation and with decreasing or eliminating excessive caffeine use. If Biofeedback Therapy is new to you, click here to learn more about it. Dr. Lambdin graduated from UCLA with a major in psychology. She went on to complete her Master’s and Doctorate from The California School of Professional Psychology (CSPP), now Alliant International University, with an emphasis in Multicultural Community Mental Health. Dr. Lambdin has been licensed as a psychologist since 1997. During her training Dr. Lambdin completed training programs at a Day Treatment unit which treats chronically mentally ill individuals; an internship at Loyola University’s Counseling Center where she gained expertise in the treatment of young adults and adults in a broad range of areas such as depression, anxiety, relationship issues, among others. She was asked to speak to various on-campus groups and provided consultation to staff about mental health issues. Dr. Lambdin also lead psychotherapy groups, provided individual psychotherapy, and couples’ therapy. Finally, Dr. Lambdin completed an internship at the Switzer Center in Torrance. The Switzer Center is a non-public school for children with emotional and learning disabilities. Upon graduating from CSPP, Dr. Lambdin was hired as a staff psychologist at the counseling center at Loyola University and worked there until 1997. Since that time, Dr. Lambdin has worked in a variety of settings, including St. Mary Medical Center on the Rehabilitation Unit, the CARE Clinic at St. Mary Medical Center with an HIV/AIDS population, private practice settings, and as a Mental Health Consultant to Head Start Program. During this time Dr. Lambdin gained expertise in providing the following services: psychological testing, psychotherapy, individual, group, and couples’ therapy. In addition, Dr. Lambdin was asked to provide training on mental health issues to parents, teachers, and other mental health consultants for other Head Start programs. In addition, Dr. Lambdin worked for Foothill Family Service, a non-profit organization that treats children and their families. While at Foothill, Dr. Lambdin provided psychotherapy to families, children and lead groups. In addition she conducted some staff trainings and was solely responsible for conducting the agency’s psychological testing. Currently, Dr. Lambdin treats individuals and couples on an outpatient basis at Health Psychology Associates. In addition, she also participates in the care of patients on an inpatient basis on St. Mary Medical Center’s Rehabilitation Unit. In addition to working with Health Psychology Associates, Dr. Lambdin maintains a private practice in the city of Los Alamitos. Michael Flesock has always been curious about and fascinated by the range of human behavior. This passion was reflected in his education. Dr. Flesock received his B.A. degree in Biology and Psychology from the University of Rochester. He came to California to continue and complete his graduate training, attaining Master’s and Doctoral degrees in clinical psychology at the California School of Professional Psychology in Los Angeles. Fascinated by the intersection of criminality and mental illness during college internships, Dr. Flesock completed a predoctoral internship in forensic psychology at the Center for Legal Psychiatry. A second predoctoral internship in rehabilitation and neuropsychology was done at Northridge Hospital Medical Center. After completing his doctoral degree in 1984 he started his professional career with the California Department of Mental Health at Metropolitan State Hospital. He later served on the expert witness panel providing mental health evaluations in criminal cases for the Los Angeles County Superior Court and evaluating civil commitment cases. In 1992 he moved on to Cedars-Sinai Medical Center in Los Angeles able to more fully pursue his other professional passion, working as a neuropsychologist providing inpatient and outpatient assessment and treatment services. Dr. Flesock later returned to Cedars-Sinai as a neuropsychologist and member of their medical staff in 2004. He became affiliated with Health Psychology Associates in 2006 and subsequently joined the medical staff at St. Mary’s Medical Center in Long Beach. There he provides inpatient and outpatient neuropsychological and psychological evaluations and consultations. In addition to his neuropsychology background and experience, Dr. Flesock has extensive experience evaluating children and adolescents in residential placements and for a local school district. He has designed and taught undergraduate and graduate courses in child and adolescent psychopathology. He continues to provide forensic psychology services through his employment with the California Department of Corrections. Dr. Flesock has been on the faculty of the University of California at Irvine primarily in the Department of Criminology since 2004. Dr. Michele Goldstein is a licensed psychologist specializing in integrative psychotherapy utilizing a combination of cognitive-behavioral, psychodynamic and humanistic approaches with individuals, couples and families. Dr. Goldstein received her professional training at Argosy University and completed a postdoctoral internship at Johns Hopkins University Counseling Center in Baltimore. Dr. Goldstein has several years experience working in a social service agency for families in Tampa, Florida. She was on staff at the University of South Florida Counseling Center prior to serving as director of the Employee Assistance Program providing therapy and group programming to employees of the university prior to her move to the Long Beach area. Dr. Goldstein has experience working with developmental issues across the life span including challenges of coping with chronic illness, grief, loss, depression, anxiety, post-traumatic stress, sexual and gender identity issues. She is pleased and honored to be part of the Health Psychology Practice in Long Beach serving the needs of the local community. Dr. Levine conducts psychodiagnostic and neuropsychological evaluations with children and adults. He has been licensed since 2005 and is a board-certified in clinical neuropsychology by the American Board of Professional Psychology. Dr. Levine received his Ph.D. from the California School of Professional Psychology-Fresno in 2002. He then completed a 3-year post-doctoral fellowship in neuropsychology through the Medical Psychology Assessment Center at UCLA. In addition to his clinical work, Dr. Levine maintains an active research program at the UCLA - School of Medicine, where he investigates the psychiatric and neurocognitive impact of infectious diseases (e.g., HIV). He has authored numerous papers and book chapters covering the topics of neuropsychometrics, neuropsychological consequences of infectious disease, psychological assessment, and the genetic determinants of neurocognitive dysfunction. Dr. Levine has also taught classes in Psychological Assessment at various local universities and graduate schools. If you would like to schedule a psychological evaluation, please give us a call.